From my perch High atop the Rooftop Lounge at Hotel Erwin in Venice this weekend, a few ephemeral thoughts bounced around my noggin as we celebrated my Wife’s Birthday. 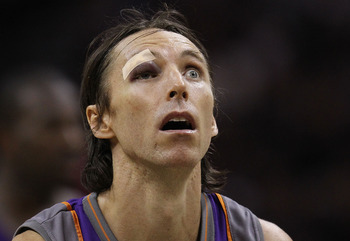 . .
*Will the cycloptic,effervescent Steve Nash be able to myopically stare down the wounded Lakers, especially with an invigorated and contract-hungry Amare Stoudemire? 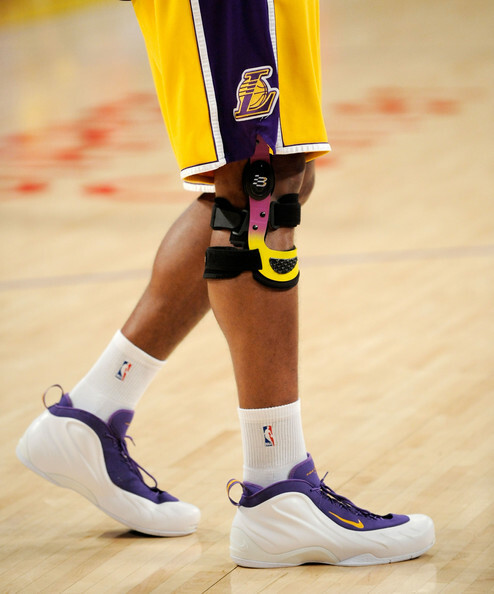 *How about Kobe, who had MORE fluid drained from his increasingly-swelled knee. . .will we see much of this as Nash and Stoudemire pick-n-roll the Lakers to death? *Just down the road – and right as the Mannyful Dodgers are hitting their stride – Andre Ethier’s status is up in the air as the Triple Crown contender broke his pinky. . .allegedly in Batting Practice. Now Etheir is a gamer, dedicated & hard-working, and also very intense and serious about his craft. That said, YKI has taken literally tens of thousands of swings in BP and never been injured in any capacity, specifically a broken finger. YKI is calling in special ops to try to get an accurate report on this one. 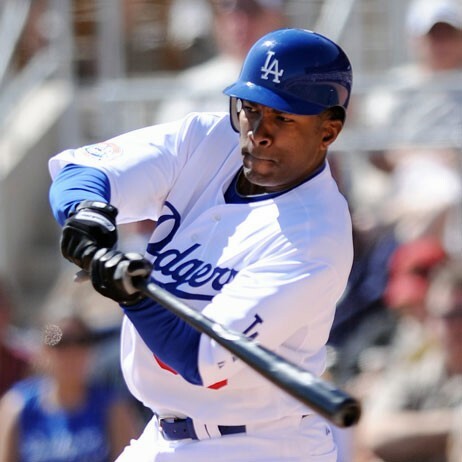 . .
*Luckily the Dodgers have savvy veteran and Kennedy High School (Granada Hills) alum Garret Anderson to fill-in. Some say he’s old, but hey – does this look like the swing of a guy that’s struggling to catch up with big league heat?!? *Lastly, YKI finally had the time to take in a discerning and comprehensive viewing of Ice Cube’s Straight Outta L.A. (as part of ESPN’s ongoing & wondrous 30 for 30 series). YKI is going to be viewing twice more to provide a deserved, in-depth analysis of Cube’s thesis: NWA made the Raiders part of pop (counter)culture, and hip hop in L.A. was mirrored by the Raiders moving to the city. It is a very personal topic for YKI, who was raised an L.A. native during the 80’s and 90’s; a fan of both the teams and the group. Check out a viewing this week and get up to speed prior to the review. Written by EvanLovett Posted in L.A. State of Mind	Tagged with 30 for 30, Andre Ethier's pinky, Andrew Bynum injury prone, Andrew Bynum is a baby, designstILes, Garret Anderson's Age, High Rooftop Lounge, Hotel Erwin, Ice Cube, Kobe's knee, Los Angeles Raiders, NWA, Steve Nash's eye, Straight Outta L.A.